Check out Tobi's Soothing Soul Surplice Blouse The Soothing Soul Dusty Rose Surplice Blouse features a v-neckline with a loose surplice bodice and bell sleeves on a lightweight polyester weave! 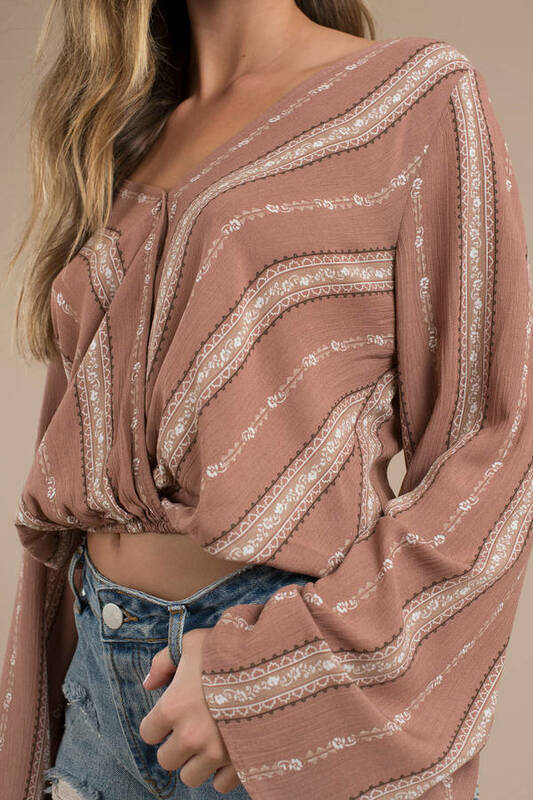 The Soothing Soul Dusty Rose Surplice Blouse features a v-neckline with a loose surplice bodice and bell sleeves on a lightweight polyester weave! Dusty Rose modeled on a size Small.